The freshmen and sophomore classes face off in the first match of the tournament. 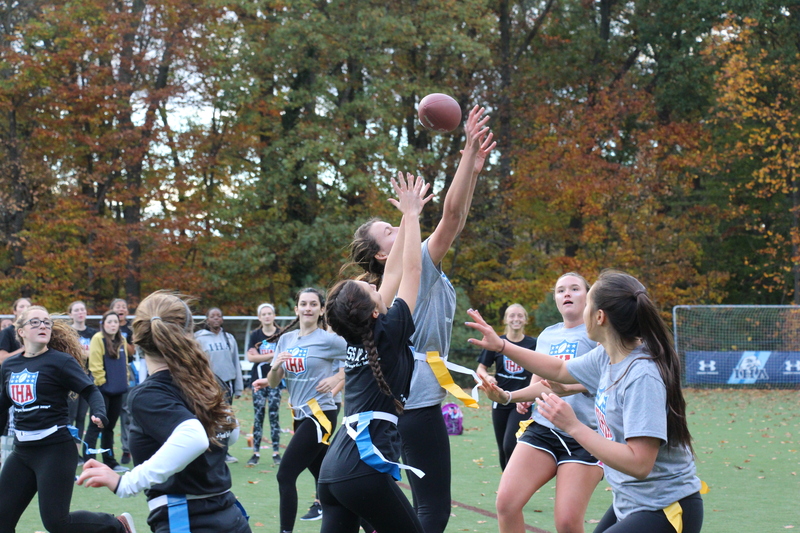 For the third year in a row, the IHA students faced off in the annual Powderpuff tournament to raise money for IHA’s service program and scholarship fund. 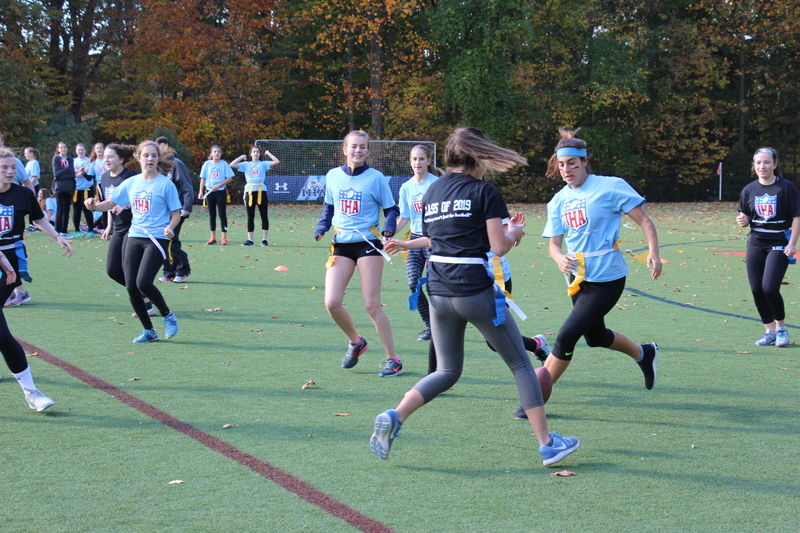 After school on October 25th, students raced down to the IHA fields to begin the tournament. Even though it was cold and windy out, the sun was shining and it was a perfect day for the competition. After a quick demonstration of the rules, the freshmen and sophomores put on their flag belts and lined up for the kick off. At the end of the first game, the sophomores defeated the freshmen, and advanced on in the tournament. The juniors and seniors compete to determine who will advance to the final match against the sophomores. In the next round, the upperclassmen battled against each other to determine who would advance to the final match against the sophomores. The juniors won in this faceoff. The juniors advanced on to the final round of the competition, and faced off against the sophomores to win the trophy. 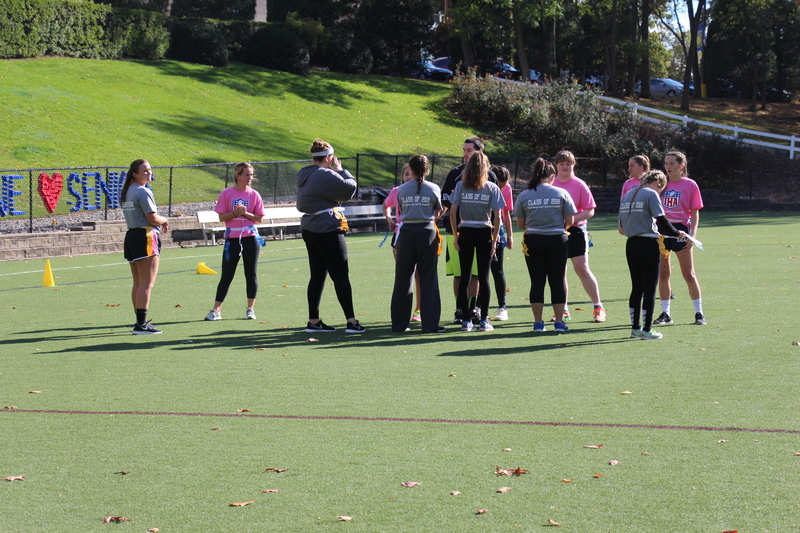 The final game was intense, and each class was determined to win the title of “2016 Powderpuff Champions” and the trophy that goes with the title. In the end, the juniors defeated the sophomores and won the trophy. The juniors and sophomores face off for the trophy. Members from the Christian Service Board played an integral part in the fundraiser, and the Executive Board helped to organize the tournament. Members of the board that were not players were at the IHA fields selling snacks and t-shirts to the crowd. The teacher coaches also did a great job in leading their class teams. Ms. McNulty was the coach for the freshmen class, Mrs. Tucker for the sophomores, Mrs. Manning for the junior class, and Mr. McGinnis for the senior class. The Class of 2018 pose with their trophy. 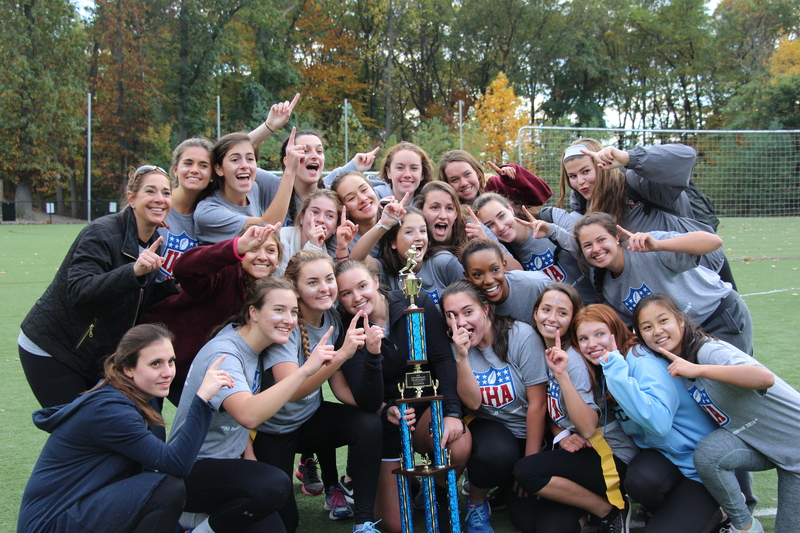 Despite the change in date, the IHA Powderpuff tournament this year was a huge success, and set a new record for the amount of money raised. Powderpuff players this year are hopeful that the IHA community can set a new record for the amount of money raised again next year.